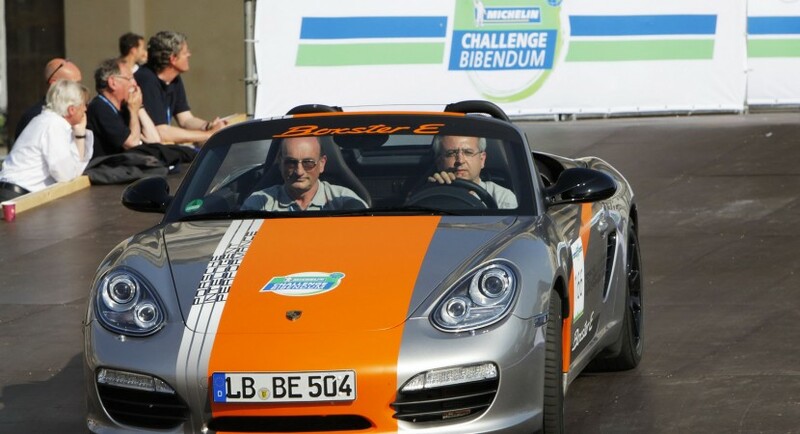 The Germans from Porsche are currently testing the practicality of full electric models, the final results representing, or not, the basis of developing zero-emission versions of the current models in range. 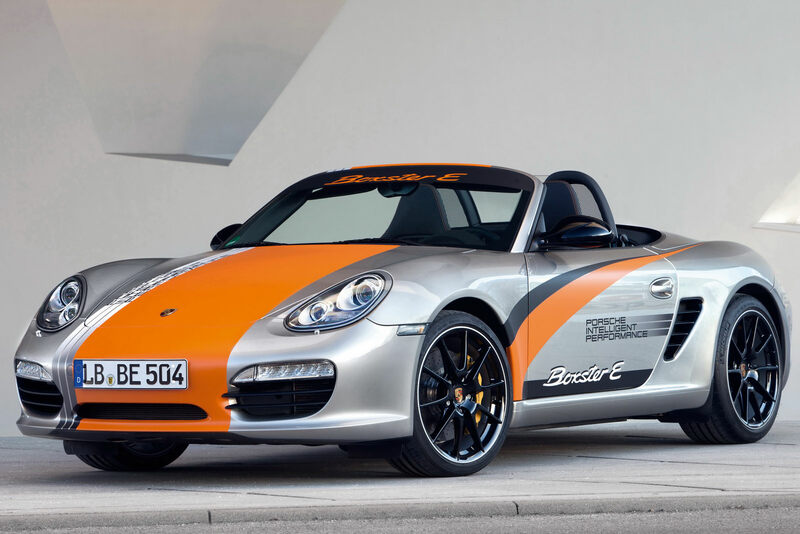 Porsche decided to reveal three electric prototypes of the current Boxster, two of them benefiting from a rear-wheel drive system while the last is an all-wheel drive model. 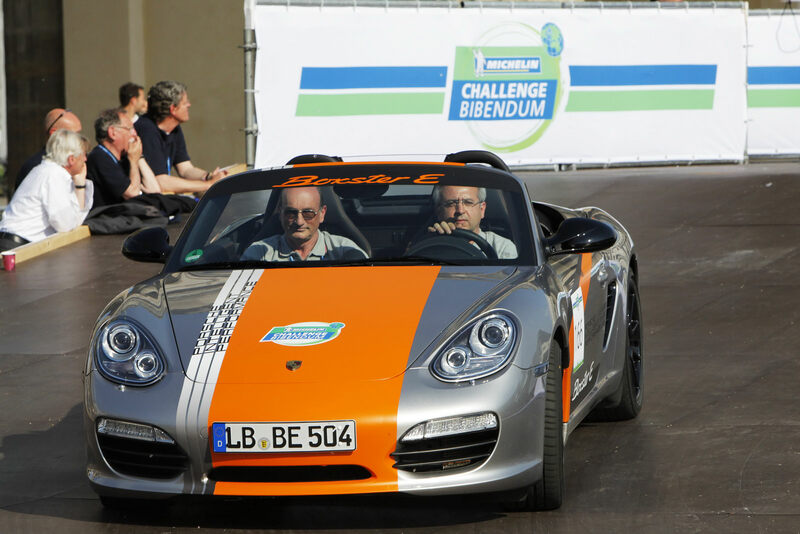 Called Boxster E, the new range of eco-friendly prototypes were revealed at the Michelin Challenge Bibendum, an event which took place last week in Berlin. The vehicles are part of the Model Region Electro-Mobility Stuttgart, a project which tries to find if fully electric models are a sustainable alternative these days. The first details on the Porsche Boxster E surfaced earlier this year but only now we got some more interesting details on the zero-emission Boxster prototype. All the prototypes are fitted with a 29 kWh lithium-iron-phosphate battery that needs around 9 hours for a completely charge. The battery weighs 341 kilograms and is able to offer a decent driving range of 107 kilometers. Another interesting feature is the Active Sound Design system which warns the pedestrians in certain situations, the low noise produced by the electric motors being a danger for passersby. Under the hood, Porsche fitted two electric motors able to provide a total of 241 horsepower and 540 Nm of torque. This setup is specially designed for the all-wheel drive model, each engine being placed on one of the two axles. With this been said, the all-wheel drive Boxster E is able to accelerate from 0 to 100 km/h n only 5,5 seconds while the top speed is limited at 200 km/h. The Stuttgart-based manufacturer also released details on the rear-wheel drive prototypes which suffered few changes under the bonnet. More exactly, the electric motors are both placed in the rear and are able to deliver a total output of 121 horsepower and 270 Nm of torque. This is considerably less than the all-wheel drive vehicle, therefore, the acceleration from 0 to 100 km/h is achieved in 9,8 seconds while the top speed spins around 150 km/h. 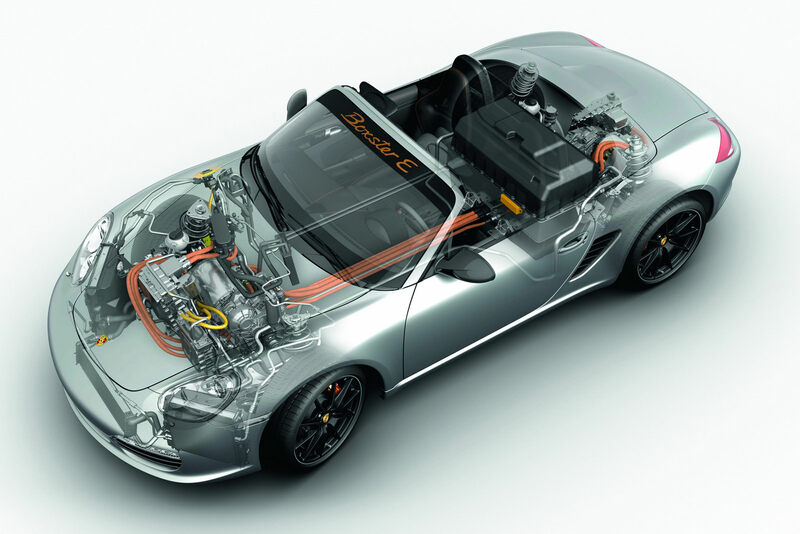 Porsche Boxster E weighs around 1,600 kilograms due to its lightweight structure but also to the weight-optimized battery which in most of the cases, has a bad influence on the total mass due to its weight and dimensions. More details can be found in the official press release while driving footage is available below. , some thoughts about cars for you (and what is more fun than sepnding other people’s money):* Boxter. Great car, great value. The Cayman – which you should consider – is so good that it may wind up cannibalizing sales of the base 911. Porsche options notoriously expensive. Seriously bad news in bad weather. Do you switch to snow tires up there? It should be considered mandatory on any lightweight car. * SLK. Too torquey in the wet, except for the base version, which is underpowered. Extremely comfortable over long distances. Decent fit and finish but not like the old days (my wife has a ’76 450SL that puts the current cars to shame). Not bad in the twisties, but no Porsche. The other thing to consider is the SLK’s well-earned reputation as the car of choice for trophy wives and mistresses. I don’t know about your personal situation and I’m not asking, but you could have a lot of fun with this, especially if you are evasive about whether you bought it yourself. Or not. Your call. ;)* Lotus Elise. I drove one just the other day and I practically sprained my face from smiling. The best handling car available for less than $100k. It’s mechanically simple (Toyota engine) so maintenance should be relatively inexpensive. Looks like the racer it is. Unfortunately, if you take it on the interstate for more than 10 minutes or so you will want to gouge your eyes out with a screwdriver. But you should at least drive one. * BMW. I don’t like the Bangle styling or the complexity of the systems so I haven’t looked at a Bimmer in ages. The Z4 roadster looks OK and the M3 (if you want serious performance) seems to be for real. Not for me but you could do worse. * Cadillac. XLR-V has decent handling, an upgraded interior for 2007 and a Corvette drivetrain. I haven’t driven one myself, but it could be worth a look. With my Escalade I have found that Caddy service is surprisingly responsive but surprisingly expensive. * Maserati. Don’t laugh, but a low-miles ’05 coupe will run in the low $80s. Much more reliable than Italian cars used to be, and you will have several years of warranty left. If you stay away from automatic mode the paddle shifter will be fine, even on the ’05s (much better on the 2006). Unbelievable luxury and performance for the money. As with the Lotus, you should at least drive one. Sorry about the length of this post, but you should know better than to get a car nut started.Happy hunting!